Just as humans have gut microbiome which acts as a defense mechanism for the them, plants have also developed a root microbiome for them. A new research and study from the University of Toronto Mississauga exhibits that microorganisms are required for the overall growth and health of plants.When plants will be in good health they can ensure a good crop yield.This will definitely help in maintaining a sustainable food chain.The development of the research in this area is a crucial one.It will help the crop plants to survive the drought conditions and will ultimately lead to the increase in the crop yield. The root microbiome is traditionally acknowledged to transfer the signals for plant growth and development and for the nutrient uptake. 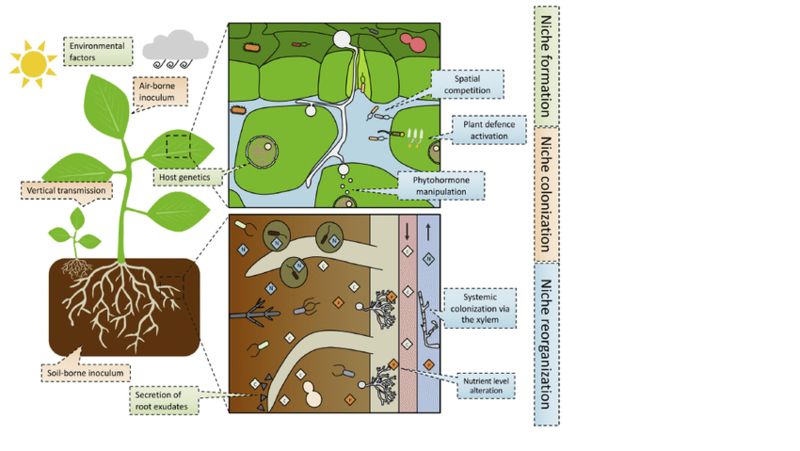 The study revealed that the bacteria especially Actinobacteria present in the root microbiome of the plants enables them to withstand the harsh drought conditions and helps the plants to grow in such conditions. The bacteria helps the plants to survive in the drought conditions. It is undoubtedly one of the best recent researches in the plant science that enables the plants to mitigate naturally the drought conditions. It is one of the research that should be worked upon more to bring about revolutionary changes in plant science and will help the farmers in a more practical way.